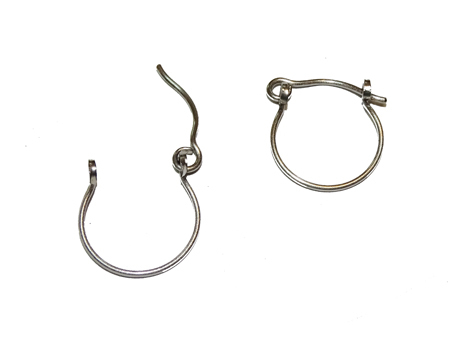 NOTE:� These smaller hoops require a little patience when inserting and latching. The hoop has some spring, with good spring back when the latch is positioned.� DO NOT open the hoop by forcefully separating the ends apart, this will deform the hoop. Instead, gently pull on the hoop just enough for the swing earwire to release.